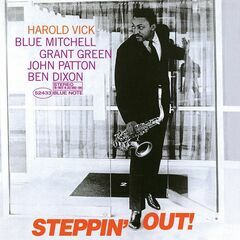 This soul-jazz outing by tenor saxophonist Harold Vick (his recording debut as a leader) casts him in a role that was often occupied by Stanley Turrentine. Vick, with a quintet that also includes trumpeter Blue Mitchell, guitarist Grant Green, organist John Patton, and drummer Ben Dixon, performs four blues, a slightly trickier original (five of the six songs are his), plus the ballad "Laura" on this CD reissue. There are no real surprises, but no disappointments either on what would be Harold Vick's only chance to lead a Blue Note date. At 27, he was already a fine player.